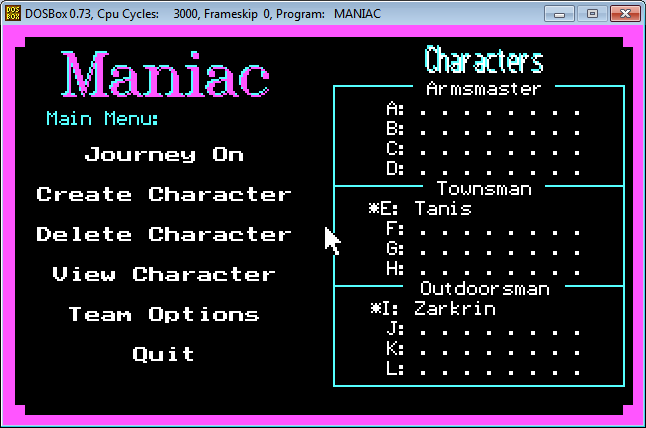 Maniac was my second graphics game finished in '91. 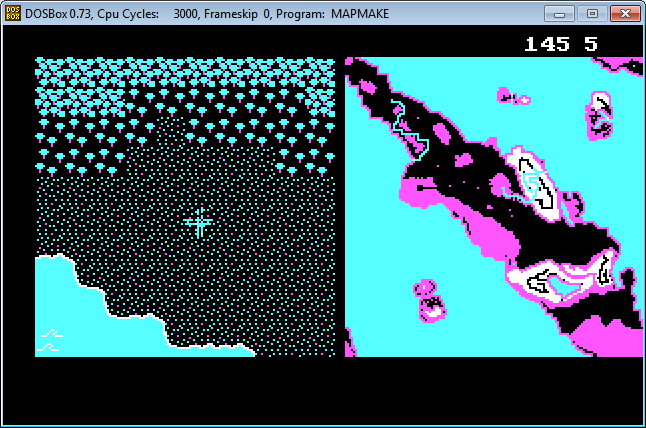 I used a mixture of Turbo Pascal 5.5 with Objects and Assembly with CGA graphics using a 286. I taught myself assembly language and object oriented programming. The game is modeled after Ultima III on Apple IIe. The player can make a party of characters with various classes and fights to destroy the evil Maniac Device. The most interesting part of creating this game was the map and other data editors. Freeware didn't get me anywhere. I didn't get my first game published until around '94 with Ironseed.